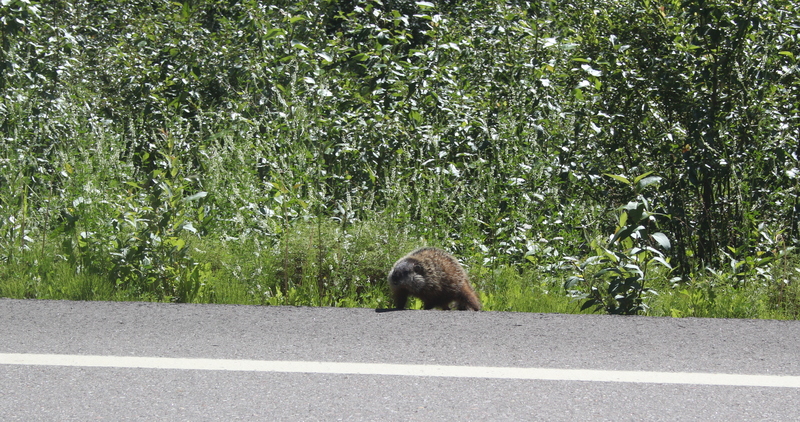 A beaver on Hwy 77, northern British Columbia. After hundreds of miles of signs telling us of possible wildlife, we finally saw some yesterday and today. The beaver was spotted just short of the British Columbia-Northwest Territories border on Hwy 77. 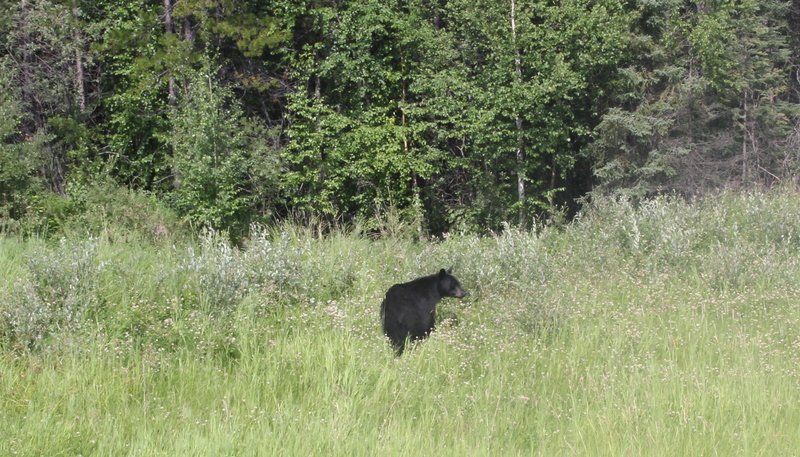 The bears were seen around Prophet River, going north to Fort Nelson, B.C. Though mostly associated with Alberta, northern and eastern British Columbia are heavily impacted by the oil and gas trade. Fort Nelson, where we are staying tonight, is a boomtown of sorts. Though there is plenty of forest, it is filled with service roads. Often the trees are a thin layer disguising wells or, in a pretty obvious case, a pipeline. Because the oil infrastructure doesn’t require a lot of personnel after it’s set up and running, B.C. and Alberta have are unusual in that there are still very few large towns, but these small settlements are surrounded with billions of dollars of technology. A black bear, spotted near Prophet River, B.C. Next Next post: One grain at a time.